Rate Us on Facebook, Google and Yelp! At Allegheny Ford Isuzu Truck Sales, our clients are family first and customers second. We value our business relationships and are committed to providing the highest degree of customer service and a memorable experience you won’t forget. We welcome any feedback you may have regarding your last visit with us. Follow us on Facebook, like our page, and leave a review for others to see details of your last visit to Allegheny Ford Isuzu Truck Sales. 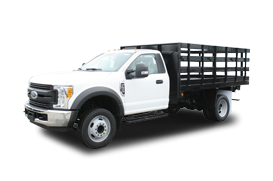 Share your experience with others regarding the service at Allegheny Ford Isuzu Truck Sales. See what others are saying about Allegheny Ford Isuzu Truck Sales by rating your experience and reading our reviews on Yelp. 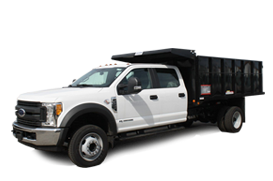 Find all of our detailed business information and see what others have to say about the way we do business at Allegheny Ford Isuzu Truck Sales. 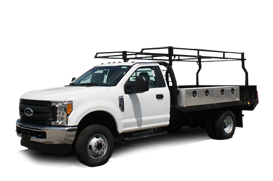 At Allegheny Ford Isuzu Truck Sales, we are always happy to answer any questions, comments or concerns regarding your last visit with us. Contact us today for immediate answers so that we may help to serve you better.. I recently bought a isuzu NPR and regretted it UNTIL ...I BROUGHT IT TO ALLEGHENY FORD TO SERVICE IT.MARK WAS VERY HELPFUL EXPLAINING MY OOTIONS AND LEFT THE FINAL DECISION UP TO ME.IM A NEW CUSTOMER THERE AND IM SURE I will be back.Thanks.......John T.
Good folks, alot of trucks in stock. The mechanic got the alignement right on my motor home and now it handles like it was designed to. Service manager Brandon explained what needed to be done and why it needed done. Recommend to a friend.